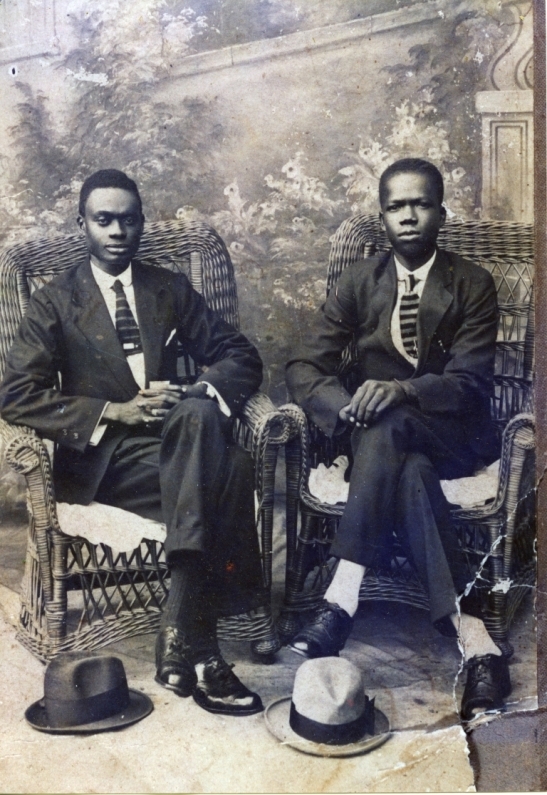 The Future Chief, Nana Kofi Awua III, As a Young Man. Seated Left. He is posing with the future Nana Akyempemhene Piesie, aka, 'Master' D.J. Buahin, with whom he grew up (the same household) and attended school. When Nana Awuah III became incapacitated by illness in his later years, Nana Akyempemhene was made Regent of Awua Domase, a position that was formalized, in the traditional sense, through the creation (by act of office of Otumfuo Opoku Ware II) of the Akyempemhene stool for him.